A healthy U.S. labor market may be putting more money in the pockets of consumers, but that doesn’t mean it’s any easier for some of the biggest fast-food names in the business. For huge names such as Dunkin’ Brands, McDonald’s and Burger King the need to uncork salivating promotions to entice people to buy food remains critical. In many respects, the best promotions on already cheap food and coffee wins the day. “It was challenging out there for most of 2018 — we are all fighting for growth,” Dunkin’ Brands Group CEO David Hoffmann tells Yahoo Finance. The market had to digest some mixed messages from Dunkin’s fourth quarter performance. 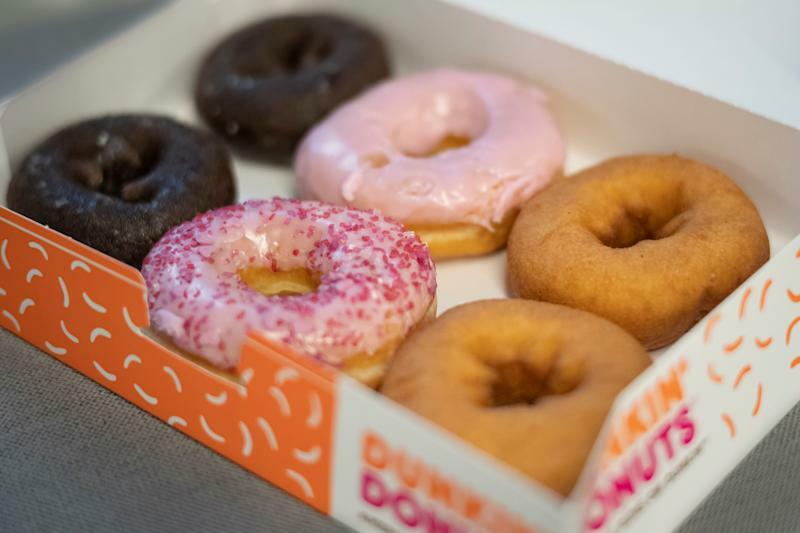 Earnings beat Wall Street analyst forecasts by 7 cents a share, driven by operating margin expansion at Dunkin’s U.S. and international businesses. The company’s bottom line was also boosted by an 8.7% drop in share count as Dunkin’ bought back its stock. But, Dunkin’s U.S. sales likely left some investors concerned about the brand’s near-term outlook. Dunkin’ U.S. saw same-store sales unchanged despite a rollout of new espresso-based beverages. Hoffmann tells Yahoo Finance the company pulled back on promotions in the quarter in order for employees to get used to making new espresso beverages. That likely weighed on traffic to the restaurants in what was a very price competitive fast-food backdrop to end the year. Dunkin’ U.S. same-store sales rose 0.6% for the year. Hoffmann says he continues to be very excited about the new espresso platform. He declined to say if the business is starting to steal business away from espresso drink king Starbucks. Meanwhile, terrible winter weather in the U.S. did its part to send Baskin’ Robbins same-store sales down 3.7% in the quarter. Baskin Robbin’s U.S. sales dropped 0.6% on the year. Dunkin’ said it will begin rolling out a new store design for Baskin’ Robbins in a bid to lure people in more often. Dunkin’ expects 2019 earnings in a range of $2.94 to $2.99 a share. Same-store sales for Dunkin’ U.S. and Baskin Robbins U.S. are seen rising each by a low-single digit percentage. Dunkin’ shares declined about 5% on Thursday’s session. Dunkin’ joins arch nemesis McDonald’s in reporting weak traffic to its restaurants in the fourth quarter. Similar to Dunkin’, McDonald’s results were hurt by an ineffective promotional strategy that didn’t emphasize enough value. With its espresso beverage rollout largely complete and the labor market continuing to chug along, the market will have little patience for another mixed quarter from Dunkin’. The same goes for McDonald’s (with its host of new menu items in the first quarter) and others. It’s time to unleash the breakfast sandwich deals.